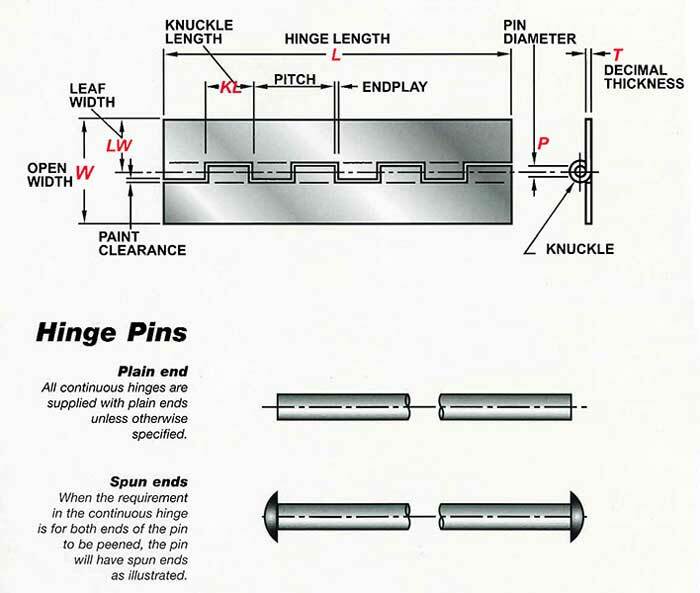 Continuous hinges, also referred to as piano hinges, are long hinges that run the entire length of a door, panel, box, or other item. 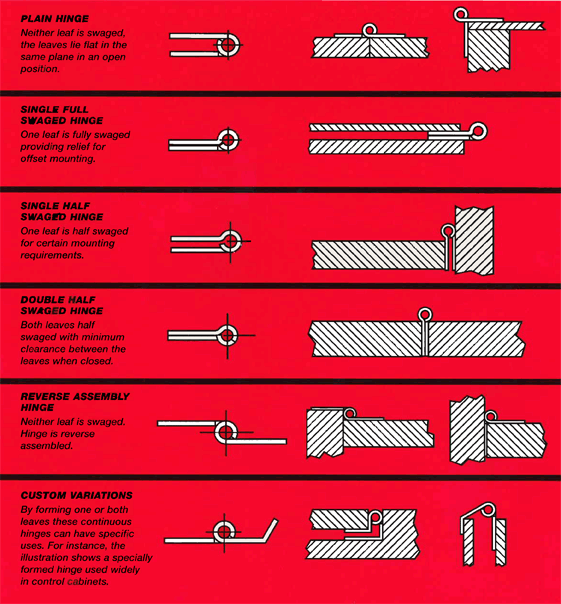 Continuous hinges are manufactured either with or without holes. 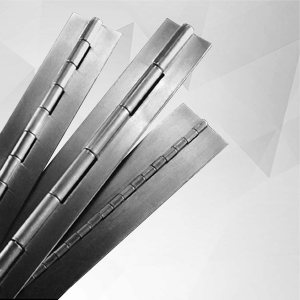 These hinges also come in various thicknesses, pin diameters, and knuckle lengths. 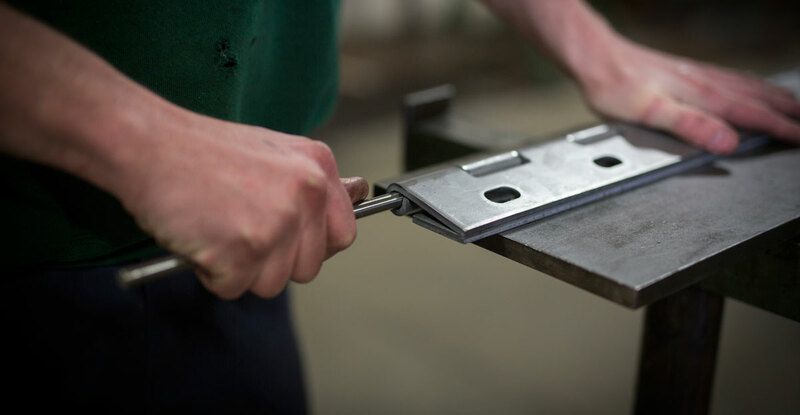 Continuous hinges can be used in any setting requiring a hinge of a specific length.